International Academic & Senior Lecturer Val Palmer reports on her trip to Detroit which she undertook as part of Central Saint Martins’ REFRESH scheme. 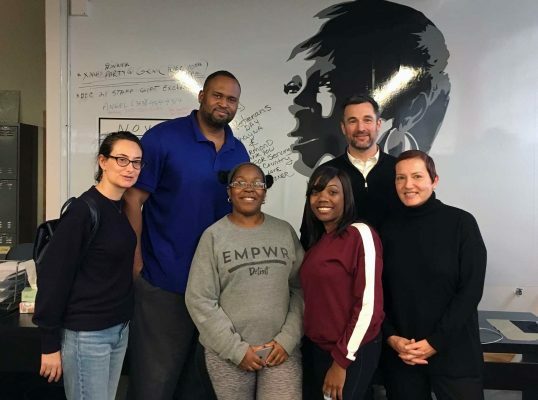 In November 2017, Employability Manager Tessa Read and I undertook a trip to Detroit to explore the city’s urban regeneration through its evolving maker spaces. 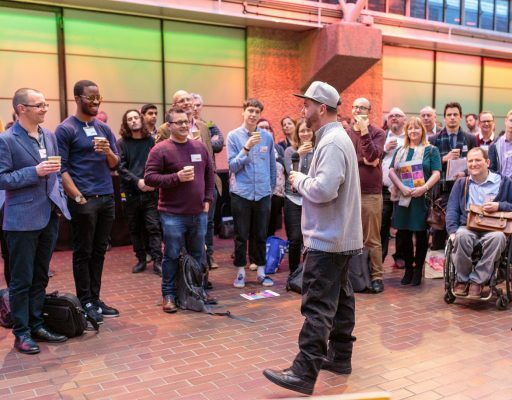 The trip was funded by REFRESH, a Central Saint Martins programme that enables staff to step out of their usual roles and experience new places, people and perspectives. My primary role is international student recruitment and although this involves extensive global travel, my interactions are usually with those who can afford to study in the UK. As someone who is committed to diversity, it was important for me to see how those who are much less privileged are being helped to improve their future prospects. 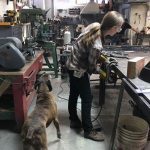 Ponyride is a maker space that enables a range of creative entrepreneurs and makers to develop businesses that support sustainable Detroit communities. One of its most successful occupants is The Empowerment Plan, a non-profit organisation which provides skills training, employment and social support for homeless people. 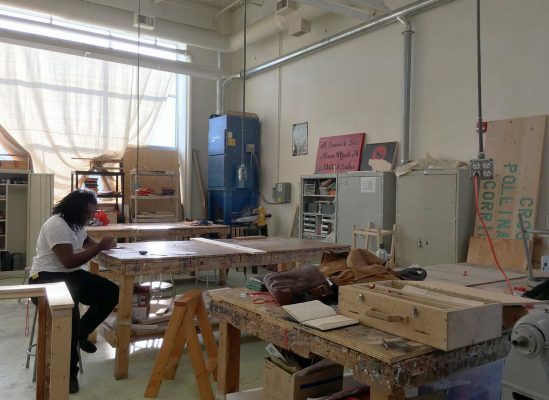 It was established by Veronika Scott, a student from Detroit’s College for Creative Studies, and participants are referred from homeless shelters across the city. 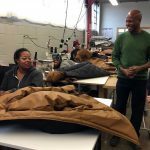 On entering the programme, employees are fully trained to construct its signature EMPWR Coat, a weather-resistant jacket for homeless people, which adapts into a sleeping bag. They are now also developing a retail coat in order to establish themselves as a self-supporting operation. Detroit’s economic regeneration is largely limited to its rapidly-developing downtown area, while many outlying communities – almost entirely African American – remain ravaged by depopulation and urban blight. In the midst of this, the Brightmoor Maker Space at Detroit Community Schools is a beacon for the city’s disenfranchised younger generation. Led by Nick Tobier, Professor at Stamps School of Art & Design, the maker space is a collaboration with the University of Michigan. 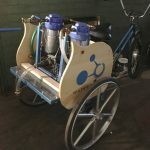 A recent project saw students repurposing redundant industrial tricycles – originally used by automotive workers to traverse the vast assembly plants – by converting them into mobile water purification units. This Water Cycle was specifically designed for use in nearby cities such as Flint, which has been without a safe drinking water supply since 2014. Brightmoor’s radical initiative will enable both young and adult locals to learn creative making skills, and most importantly, develop the confidence to expand business ideas. 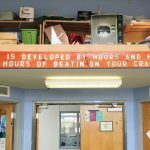 Although not necessarily defined as a maker space, Détroit is The New Black is a unique venture that encourages making and entrepreneurship. 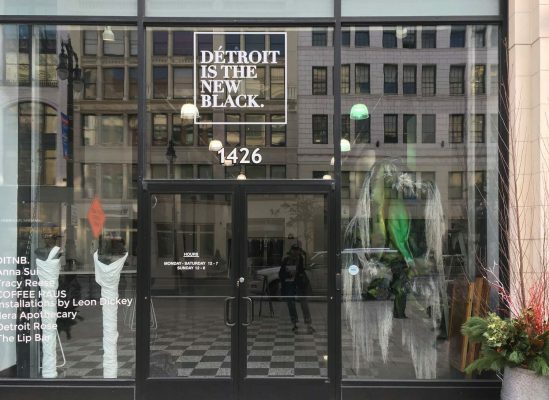 Located in the heart of the city’s downtown Woodward Avenue, it is a concept store founded by Roslyn Karamoko that showcases emerging local fashion designers and products. It also serves as an important community hub with a barbershop and exhibition spaces, hosting regular events such as poetry slams. 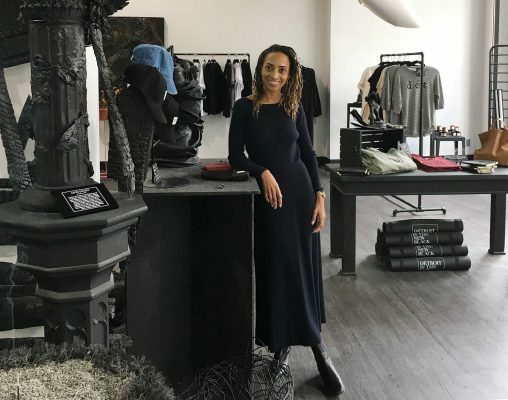 Karamoko is determined for the store to represent social inclusivity, and to question what gentrification actually signifies for Detroit’s minority groups. Although not on the sheer physical scale of Detroit, many UK towns and cities have suffered crippling post-industrial decline in recent decades, with the collapse of heavy industry and manufacturing. Open access to maker spaces enables the different generations affected by this decline to develop new skills and potential. 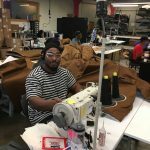 This ‘maker movement’ is actively transforming lives in the USA by boosting entrepreneurial activity and local economies. 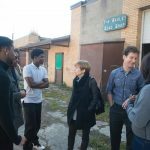 The positive impact of these spaces in Detroit provides a unique opportunity for knowledge exchange – if such dramatic results can be achieved in a city such as Detroit, then we can surely learn from these accomplishments to support the development of community maker spaces in London and the UK. Although generally perceived as transformational, the economic regeneration of what is referred to as the ‘New Detroit’ is complex and often divisive. The colonising effect of gentrification is bringing its own problems in the form of change that is clearly not yet benefitting its most marginalised communities. However, I found the efforts being made to redress the balance both impressive and inspiring. I feel that students and staff across CSM and UAL can make a constructive contribution to these initiatives by sharing knowledge and pooling our respective expertise. I intend to follow the progress of the remarkable people and organisations we encountered, and identify opportunities for sustainable future collaborations.